DVD player still gets a place in this day and age when movie streaming services like Netflix, Hulu, Amazon become bigger and bigger, as DVD won't be replaced by streaming in a very short time. What's the best DVD player for MacBook Pro/Air program(not external DVD player) then that fully supports new macOS 10.14 Mojave? VLC? Quick Time? Apple DVD player for MacBook Air/Pro? No. Below we introduce some much more functional program to watchprotected DVDs on MacBook Pro/Air, with free download buttons provided. Can DVD Player Software Really Play DVD on MacBook Pro With No Disc Drive? It looks a heck of a lot like an age when DVD drive is gone on computer comes. The new MacBook Pro becomes even thinner, and similarly, ships with no built-in disc drive. The problem is that how programs play discs on MacBook Pro/Air without DVD drive? The short answer is - copy DVD to MP4, AVI, MOV, MKV, FLV, MTS, etc. digital video formats accepted by DVD player for MacBook Pro, which is much convenient and cost-effective compared with external DVD players. We do have such a DVD player for MacBook Pro with DVD copy feature combined, MacX DVD Ripper Pro. This DVD copy program can 1:1 losslessly copy DVDs to MacBook Pro, USB with main/full title in MPEG-2 format, or clone DVD to ISO image with original 5.1 channels Dolby AC3/DTS audio. Certainly, you're allowed to rip DVDs to digital MP4, AVI, MOV, MKV, FLV, MTS, etc. video formats with 36× faster speed, which makes it possible to play DVD on drive-free MacBook Pro with any DVD/media player, without DVD disc or DVD drive needed. Note: this DVD ripper software is capable of ripping DVD both commercial and homemade ones. But for commercial DVD movie ripping, please abide by your country or local copyright law. DO NOT encourage you to rip DVDs for any illegal purposes. 1 Free download the DVD player for MacBook Pro/Air, new MacBook Pro/Air. The DVD player software for MacBook Pro fully supports the latest OS X 10.14 Mojave. Run it. Click "DVD Disc" icon to load the DVD. 2Choose output format. 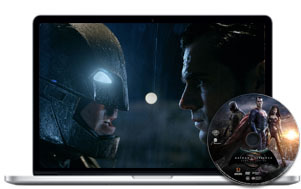 You are suggested to copy DVD movies to MP4 format that is widely accepted by DVD/video player for MacBook Pro/Air. Or you can convert DVD to best video formats for MacBook Pro and various other formats. 3Click "Browse" button to select a destination folder. If the default one is what you want, jump to the next step. 4Click "RUN" button to start ripping DVD (including copy protected DVD) to DVD player for MacBook Pro best media video format. 1. Best DVD playing program for MacBook Pro can bypass any DVD copy protection, be it CSS, Region Code(1-6), Disney X-project protection, Sony ArccOS, UOPs and more. 2. MacBook DVD player not working issue caused by DVD scratch, region code, format compatibility can be fixed with the help of it thanks to its solid repairing and conversion features. 1After you download the program on MacBook Pro/Air for free, run it. Click " DVD Disc" button to load DVD, or "Add File" icon to open video file, or "ISO" image. It is able to import DVD disc, DVD video file, TS folder, as well as ISO Image. 2Click play button to start to view DVD on MacBook Pro/Air/Mac Mini. You can play/pause the DVD movie, fast/back forward by dragging the sliderbar, adjust volume, take a fantastic snapshot from DVD movie, and click full screen mode to watch DVD on new MacBook Pro or MacBook Air Retina with full HD Retina display. Notice: The DVD ripper is designed for you to rip DVD to digital format compatible with whatever DVD player only for legal personal use, instead of illegal reproduction or distribution of copyrighted content. Please comply with your local DVD copyright law before doing it. DO NOT do harm to others' lawful rights and interests. Region-codes free DVD player software for MacBook Pro/Air is a nice way to go for region coded DVDs playback. 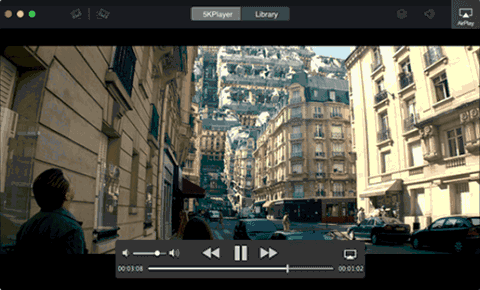 5KPlayer, although a quite new DVD/video player for MacBook Air/Pro, is tested to perform very well in both homemade and encypted DVDs playback. This well-received DVD playback tool for MacBook Pro plays DVDs on MacBook Pro/Air directly without region settings process needed, or problems like DVD won't play on MacBook Pro, DVD playback freezes, black screen etc. It accepts DVDs, Video TS folder, ISO image. All you need to do is just to drag the DVD file into it. It also plays SD/HD/4K 8K video MP3 AAC AC3 etc. audio music and more. 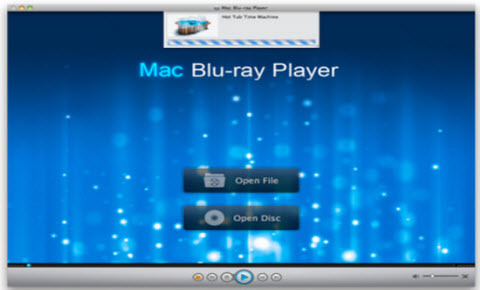 Step 1: Free download the best DVD playing software for Mac OS X based MacBook Air/Pro, run it. Click "DVD" icon on the main interface to load the DVD disc. Step 2: From the pop up window, choose the source DVD Disc. Step 3: Click "Open" button to open and play the DVD disc on MacBook Pro/Air. That's it! You don't have to pick up any region. Yes, no VLC, Quick Time, Apple app to watch DVDs on MacBook Pro here that everyone knows. We gather some seldom-mentioned but the same powerful DVD playing application for Mac to free download. 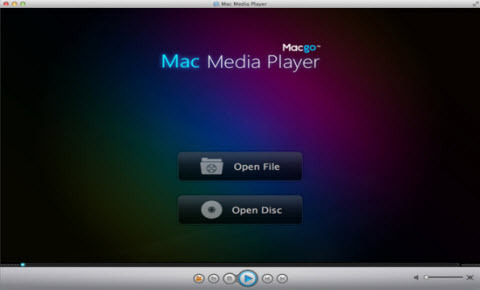 Macgo Free Mac Media Player is a top free DVD player for MacBook Pro/Air that can be downloaded for OS X El Capitan or older. It supports DVDs and a wide range of DVD video file format, covering MP4, AVI, MKV, MOV, FLV, WMV, MPEG and other common used video formats. Cons: But it lacks support for Blu-ray disc playback on MacBook Pro/Air, and you can find no media library. It is a very simple-to-use Blu-ray disc player for MacBook Pro/Air. How to play blu-ray disc on MacBook Pro? Note that you need internet connection when playing Blu-ray disc on MacBook Pro/Air to get license. Free trail is available for up to 3 month, with limited options. No ads pops up when playing Blu-ray, but it will show a watermark on the screen. Cons: Some users are complaining that the free DVD player for MacBook Pro is unstable and buggy, which will be hopefully fixed by the developer. Free trail is limited in function and using time. Watermark is annoying when playing DVDs on Mac mini/iMac/MacBook. Many Mac users suffer from DVD not playing issue frequently. And this guide focuses on how to solve the DVD won't play on Mac problem and let you play DVD on macbook air/pro and iMac smoothly. Choosing DVD-R or DVD+R for DVD recording? What is the difference between DVD-R and DVD+R? 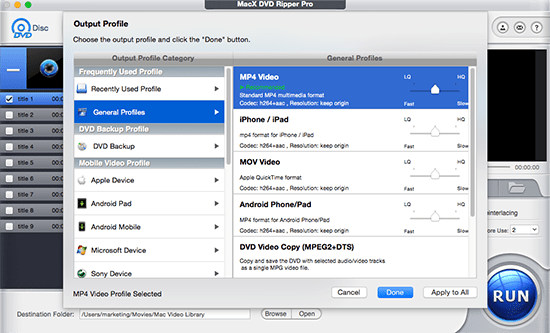 Here gives you the answer you need and explain the specific advantages and disadvantages of DVD+R over DVD-R.
MacX DVD Ripper Pro is a feature-rich DVD player for MacBook Pro/Air which can copy and rip both homemade and commercial DVDs to Mac's default QuickTime player format like MOV, MP4, M4V in original quality.